Bluets (Houstonia caerulea) are in full bloom in Nova Scotia, blanketing fields with mists of sky just above our new growth of grass. 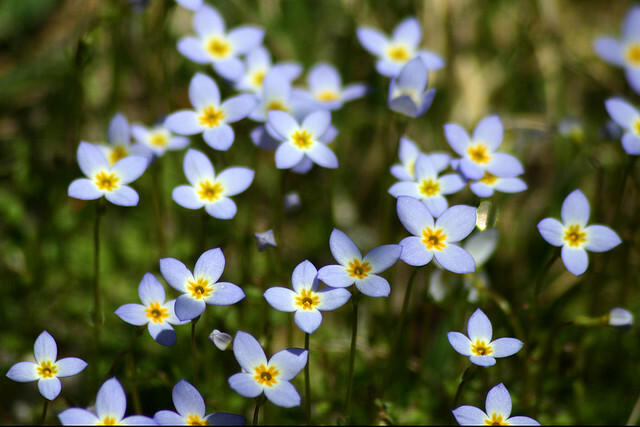 Bluets are one of my favourite flowers of Spring. They’re also one of the smallest. 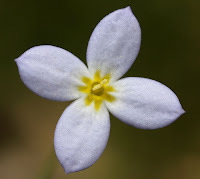 Bluets are part of the Madder (Rubiaceae) family, and of the genus Houstonia. They are a study in miniature perfection as flowers often do not exceed 1/4” in diameter. Growing only 3”-6” tall on a slender stem, each sky blue flower has four petals. They are borne singly. Depending on soil type (I assume) they unfold their petals in colours ranging from sky blue to white, and sometimes even pink. All have a symetrical yellow star in the centre. 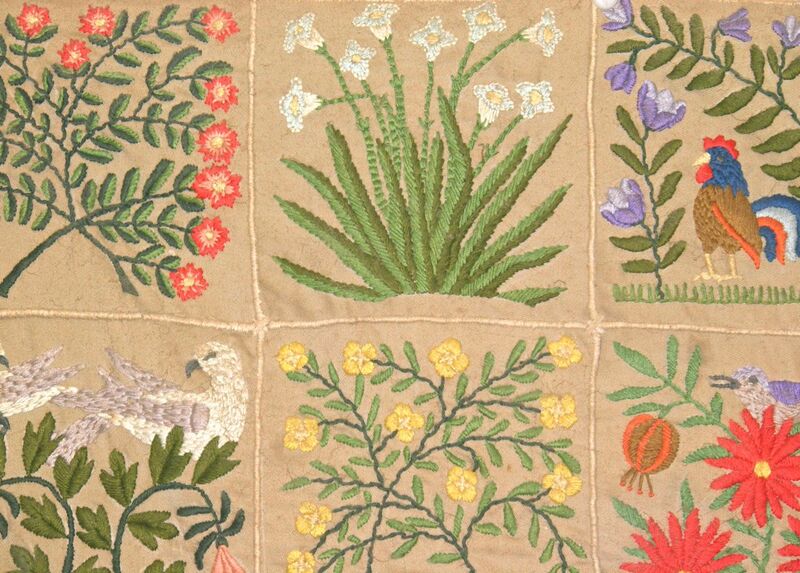 The leaves themselves are tiny as well, being oval and no more the same length as the flowers are wide. Bluets love sun, and appreciate sandy loam soil although I have seen them grow in wet areas alongside streams and in open dry fields. 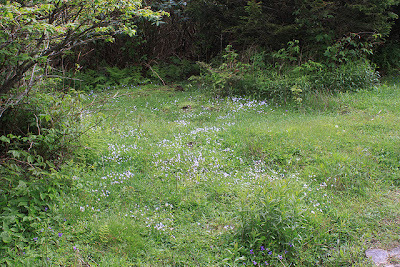 In one place where I grew up there was a cattle field that literally had a carpet of bluets in one section. I looked forward to it each Spring. It still appears every year. Stylized bluets on an embroidered wall hanging. Bluets cover a wide area of eastern North America. They grow from Louisiana, USA in the southwest, to Ontario, Canada in the northwest. From there they sweep across every state and province to the Atlantic Ocean. Interestingly, according to USDA information they are absent from Newfoundland and Labrador. Bluets are a welcome sign of Spring being a certainty, although their season is far too short for my liking. Within weeks they are gone with no sign, slumbering once again to reappear to welcome the sun next year. If you can, take the time to get out and about and look for this tiny harbinger of warmer May weather to come. In a massive display they are a thing of beauty to behold.